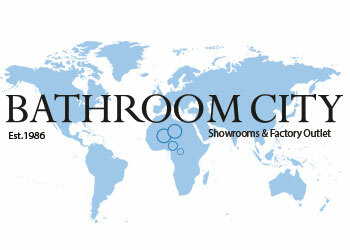 Established in 1986 by Dash Virdee, Bathroom City is the UK’s leading bathroom superstore retailer and manufacturer. With a well-established showroom, warehouse and designer bathroom factory outlet shop in Birmingham, you can be confident that we are not simply an online business. Bathroom City provides a huge range of designer brands and precision crafted products made right here in our onsite bathroom factory outlet and warehouse. At Bathroom City we understand that the bathroom is at the centre of function in the household, providing a soothing escape where you can lock the door, relax and forget the world. Bathroom City stocks the best luxury brands provides prompt and efficient delivery, and boasts a full team of expert sales staff to help transform your bathroom into your dream space. Bathroom City a luxury showroom and massive warehouse in Tyseley, Birmingham. Our showroom showcases many prestigious bathroom brands and bathroom suites alongside the biggest Matki shower enclosure display in the UK. Visit our designer showroom near Solihull and see the massive collection of modern designs and traditional bathroom ideas, suitable for projects great and small. Shrewd buying and low overheads plus our own on-site manufacturing means we can offer you not only direct wholesale prices without the gimmicks but the confidence of better value from our factory outlet. What makes Bathroom City the Best? Simply by cutting out the middleman. Selling from the factory to the retail market and buying directly means you are offered the best deal on bathroom products. With over 125,000 sq ft of warehousing space Bathroom City stock thousands of bathroom products, from suites to shower units, which are all ready for fast delivery or collection from the cash and carry warehouse. 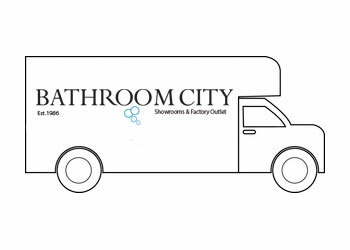 Bathroom City combines showroom expertise at factory outlet prices, making us a truly unique retailer that delivers luxury at affordable prices with the added convenience of expert sales staff guiding you through your purchase. At Bathroom City, we promise a service that suits our customer’s needs, delivering quality products, an efficient and attentive service, expert sales staff on hand to deal with any issues, an easy to use website, a range of products that spans all budgets, a fast delivery service and interest free finance; making your buying experience a perfect one. What separates Bathroom City even further from our major competitors is our showroom, we are not just an online retailer we also exhibit dozens of stunning bathroom products so our customers can pay us a visit in store, experience the quality of our products for themselves and take advantage of our exclusive in-store deals. At least 95% of all Bathroom City products are in stock for fast free delivery anywhere* in the UK when you spend over £249 or products on offer with no minimum spend. Bathroom City only offers you top quality bathroom suites, bathroom furniture, vanity units and sanitary ware. We source the best products worldwide, as well as offering pieces made at our UK bathroom factory that are unique to Bathroom City. If you have any issues with your ONLINE order, we offer a quibble-free 14-day money back guarantee. We understand that buying a bathroom online can be a daunting process; we try our best for our customers to get all the details of a product from the product description and images. If you make a purchase online and it doesn’t fit your suite or it isn’t exactly how you envisioned, then you can return the item to our showroom within 14 working days after the order is delivered. Customers who wish to return an undamaged item must pay for the delivery costs and safe return of the order; in some special cases we can arrange collection, but we encourage customers to call us and discuss whether this service is possible from their location. Customers who make an order and collect from our cash and carry warehouse are encouraged to check the goods before they leave, as the 14-day money back guarantee does not apply to those who have seen the exact products they have purchased. For more information concerning our 14-day money back guarantee, please refer to our terms and conditions page or call us on 0121 753 0700. If you are an international supplier of domestic bathroom products and bathroom accessories, please contact the Bathroom City imports department. Part of Bathroom City's success is based on the people who share our enthusiasm, customer focus and drive to be the very best in the business. This is what sets us apart from other bathroom companies and bathroom showrooms.